The opposite of innovation isn’t stagnation. It’s slow miserable defeat. The future belongs to organizations that view innovation as an expression of who they are, not something they do. A culture of innovation is “The Invisible Advantage,” by Soren Kaplan PhD. Success is the result of hard work and innovation. Give “worthless rewards.” Don’t reward people with money. Give them symbolic awards like trophies, plaques, lunch with the CEO, and even wooden nickels! Measure what you want to get. Choose specific metrics to track like the number of ideas generated, number of prototypes tested, or revenue from new products introduced in the past 2 years. You get what you measure! Innovation, like all meaningful success, is dedication to improve life for others. “Frame the way you want to change the world, and make it about the customer.” Soren Kaplan, The Invisible Advantage: How to Create a Culture of Innovation. You don’t need more money, time, or resources to innovate. Scarcity actually accelerates innovation. You need an invisible advantage – a culture of innovation. 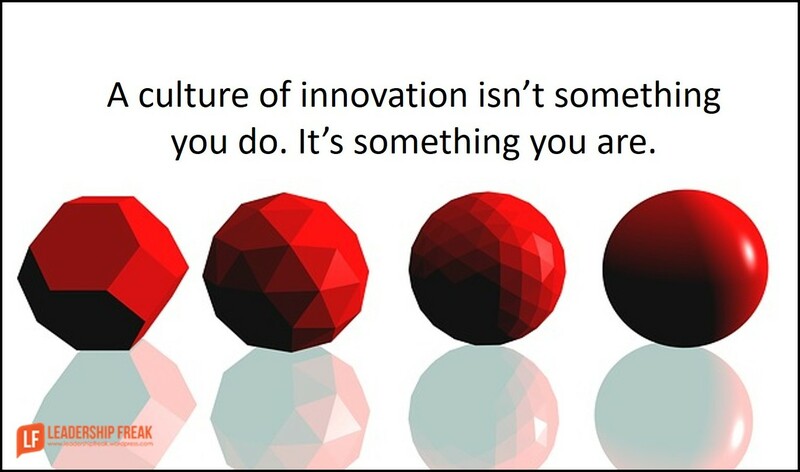 What does a culture of innovation look like to you? What behaviors and/or attitudes promote a culture of innovation? Great article, Dan. Thank you!